Hi guys! 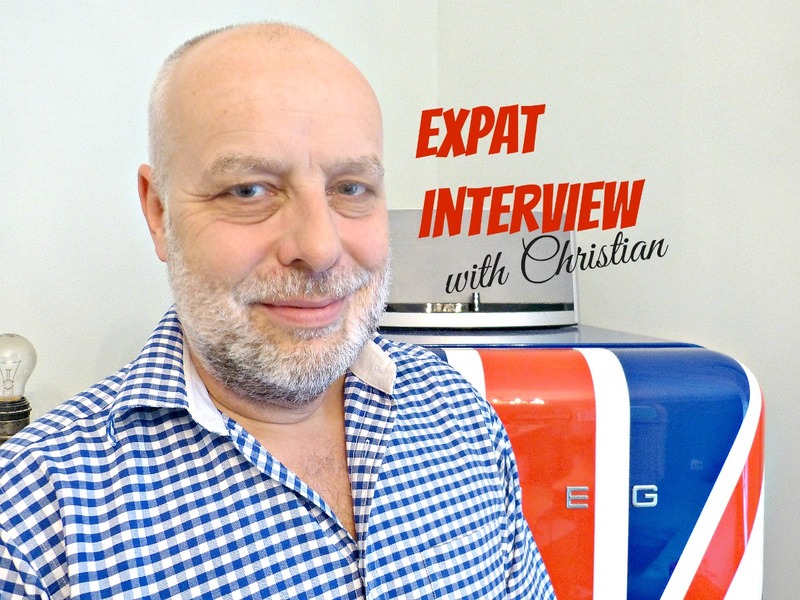 In today’s Expat Interview Christian from The English Tearoom shares his experiences with us. He and his wife Lynn moved from London via Greece to Stuttgart thirteen years ago. 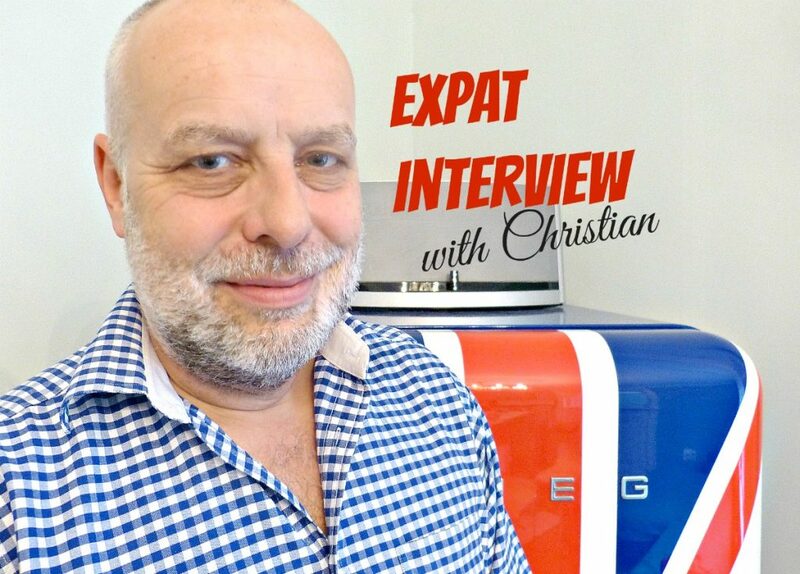 In the interview he tells us what he loves about our city, how he managed to learn German and why he won’t be an expat for much longer! Christian why did you move to Stuttgart? Lynn and I were living in Greece but after a year we decided that the mentality didn’t quite fit our own. And because we didn’t want to move back to Britain we were looking for a country we would fit into but that was as far south as possible. Then Lynn got a job at Olgahospital here in Stuttgart and I said to her: “Go there and if you like it I can come with the car and the dog”. And when she said “it’s great, I like it” I followed her. So that’s how we ended up in Stuttgart. We fell in love with the city pretty quickly actually. 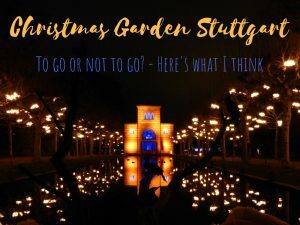 Have you heard of Stuttgart before? I had heard of Stuttgart of course because of Mercedes-Benz. But I’d never actually been there before. But I knew it is well off… and a bit “spießig” I had heard. What was your first impression of Stuttgart when you arrived here? I came to Stuttgart in the summer so it was very nice weather. We went for a walk in Schlosspark and I got a very positive impression from the very beginning. And coming from Greece everything seemed super organized to me. But maybe cold in comparison to Greece? Yes, but that was positive as well. It is too warm in Greece in summer. How did you feel during your first weeks? I could speak a little bit of German in the beginning so it wasn’t too bad. And I found people here to be very, very friendly. I know there is this myth that Germans aren’t friendly, especially Schwaben. But I found people here very friendly. In thirteen years I’ve only had positive experience. I’ve never had a single negative experience because I am a foreigner. How did you improve your German after coming here? I went to the Volkshochschule, I watched a lot of German television and I read a lot of books. I started reading children’s books and then I progressed. For the first five years we didn’t watch any English television, didn’t listen to any English radio and didn’t have any English friends. We really tried to integrate as much as possible. I think that is your responsibility as a foreigner in a foreign country. And language of course is the key to integration. 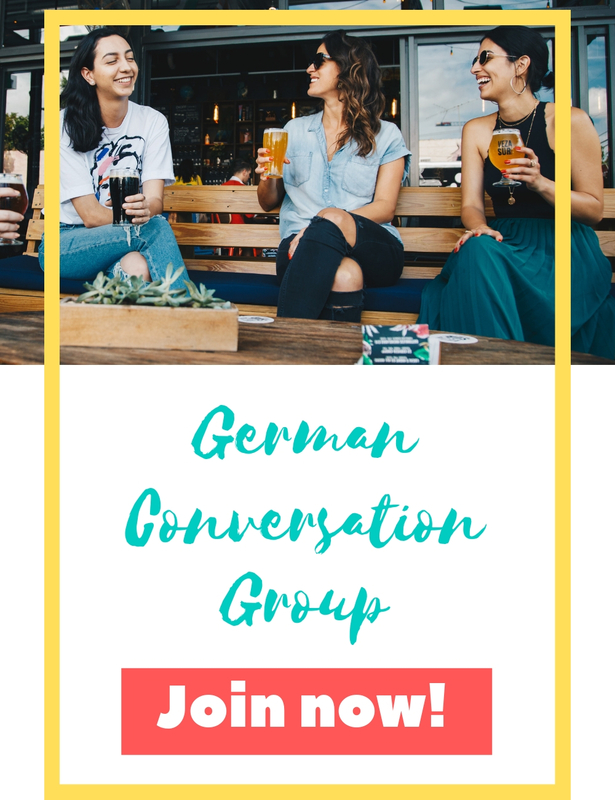 How long did it take you until you felt really comfortable when speaking German? Five years. I could speak it before but I always had to think and there was a delay in the conversation. I was always a little bit behind everybody. But I still like the fact that it is a foreign language. I come from London where you are constantly bombarded with information. And if it’s your mother tongue it goes in without you even realizing it. You can’t filter it. But when it is a foreign language I have to actually engage my brain and ask myself “what does that mean?” So the information is filtered a bit. And I find that very pleasant. Was something very hard or strange to you at the beginning? Not really. In Britain it is quite hard to start over new. You don’t know where to start. Here you have to be “angemeldet”, so everything starts from there. And once again, coming from Greece, everything seemed very logical for me. And we even got a welcome bag with a free ticket for the public transportation for our first month! That was really good. What you like about Stuttgart, now that you have lived here for quite a while? I like that it is surrounded by forest. I like that it is in a valley – I know that causes problems with Feinstaub but I like it. And I love where we live, I love the Heusteigviertel with it’s beautiful buildings. What was funny: When they renovated the fassade of our building we ended up getting a bill for damage caused during the Second World War! That shows me that life goes in a big circle. Oh my god, it really does! That is hilarious…! So it is mainly the nature you like about Stuttgart? Yes, I love the parks and the nature. We have a lot of greenery here in the city. Whenever I come back from a trip I feel like coming home, like Stuttgart is really my home now. I am glad to have that. I think if you’re not happy to come home you’re living in the wrong place. When friends come visiting you, where do you take them? Number one is the Mercedes museum of course because this is an amazing museum. And the art gallery is also great. And if we are lucky enough to get tickets for the ballet, we take them there. The ballet here, for the size of the town, is absolutely amazing. I have heard that Stuttgart Ballet is the only ballet company that is allowed to dance at the Bolshoi Theater in Moscow. Can you recommend any restaurants you like in particular? 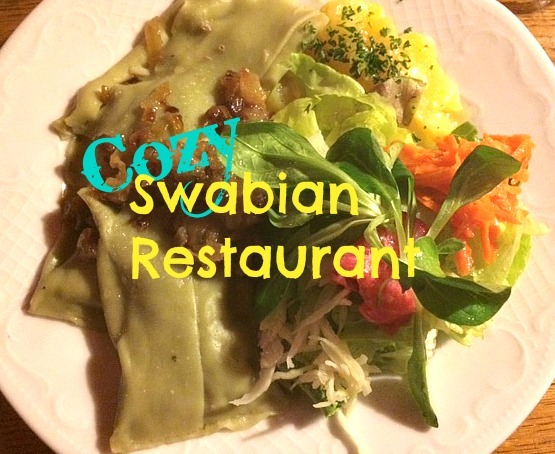 I love Swabian food. I can recommend Weinstube Kochenbas, because that is proper Schwäbisch. For high-end Schwäbisch, I would go to Weinstube Vetter. It is really good but also expensive. You and your wife Lynn are the owners of The English Tearoom. Was it hard to teach the Stuttgarters the difference between high quality tea and not so high quality tea? I think when you don’t have a business in the middle of town you have to offer something special. You don’t have hundreds of people passing your shop every day, you have to bring the people to you. We’ve been in business six years now and at the beginning it was slow, but we expected it to be slow. We wanted to become THE place for good tea in Stuttgart and I think we have pretty much achieved that now. We wanted it to be a business that grows organically. We are a real business, in the old fashioned sense: we stand behind our product and we are well informed about what we sell. And we got a lot of good press from the beginning and people were very friendly. I didn’t realise it at the beginning but, because we are English, people expected us to sell tea! They said “Well, you’re English, of course you have a tea shop!” We’ve become English clichés I think. That is too funny! Well, you have been an Expat for the last years, but I have heard that this might change soon and you want to become German citizens! How is the application process going? We finally handed in our last bit of paperwork. It is a bit more complicated when you’re self-employed. I hope the process is finished by September so that I can vote here. I think after 13 years, I can’t vote in Britain anymore. As a soon-to-be-German have you already picked up any traits or traditions? I am going to become a big fan of penalty shootouts when I become a German! We always loose them against Germany. So when I’m German, I should be on the winning side. And I will have a very good football team as well. When it comes to traditions, what I really don’t understand is Volksmusik. I struggle with that. And Fasching. I just look at it and I don’t understand it at all. I think you have to grow up with it to understand it. Well, I grew up with it and even I don’t really get it… Anyway: Christian, thank you very much for the interview and for sharing your experiences with us! Hi Selma! How great that you will visit Stuttgart soon! 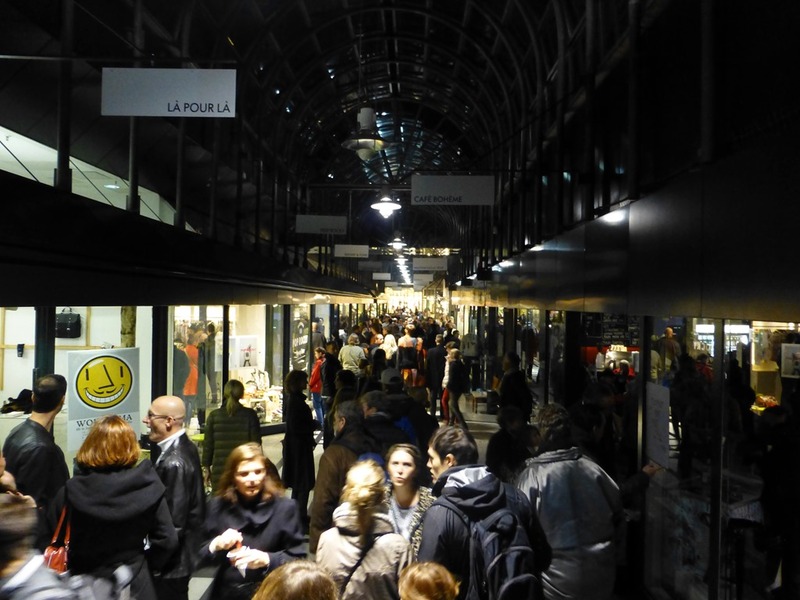 There will be a post about sightseeing tips in the city center on the blog soon! Maybe that gives you some inspiration for your trip! How long will you stay and what are you planning to do?